A very important innovation in the transportation arena is the planar transformer, which is being used more and more instead of traditional wire-wound transformers for low-profile applications where height is critical. 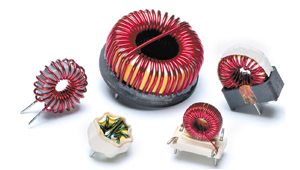 More efficient and with enhanced electrical capacity, compact high power density planar transformers are typically 30 percent of the volume and weight of traditional wire-wound transformers, which eliminates many design constraints. Standex Electronics has developed planar transformers for use in a variety of in-cabin accessories power supplies, including a video system for police cars that can be stored under the seat, and a wireless headphone system that needed a slim profile.